Photos zero, one, two and three, is an example of what I want to do with iffinity photo for ipad. Once you've applied the style you can use a couple of tools, the Fill/Gradient Tool with the Type set to Bitmap, this allows to adjust the position and aspect. Another tool you can use is applying a Mesh filter, this allows you to warp the area. 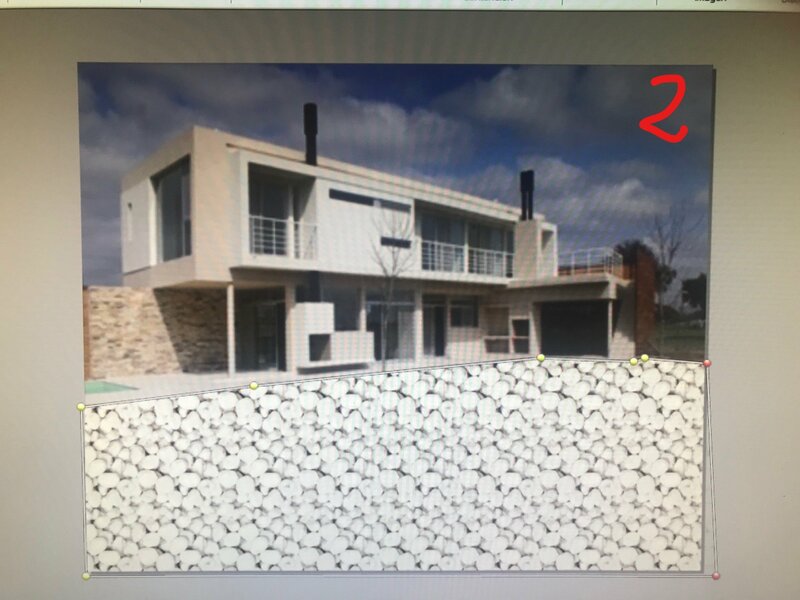 I have tried the tools that says but you can not do what is in the photo 2 which is to reduce the size of the stones and in the photo 3 to put prespective. 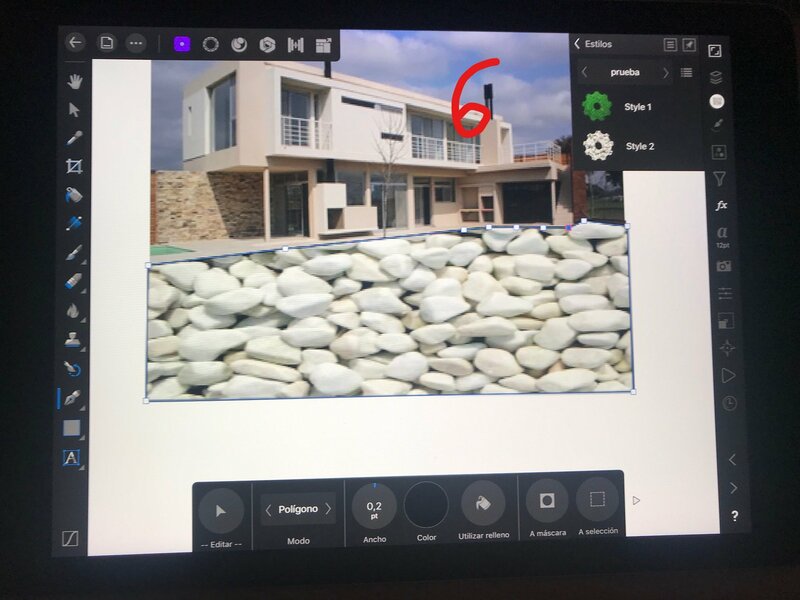 I have recorded a video with a program that I have for PC, showing what I want to do but with the ipad. @ernestm80 Try this. Create a style using your pebbles. I just used an existing style for testing. Rasterise your image if it is not already a pixel layer. 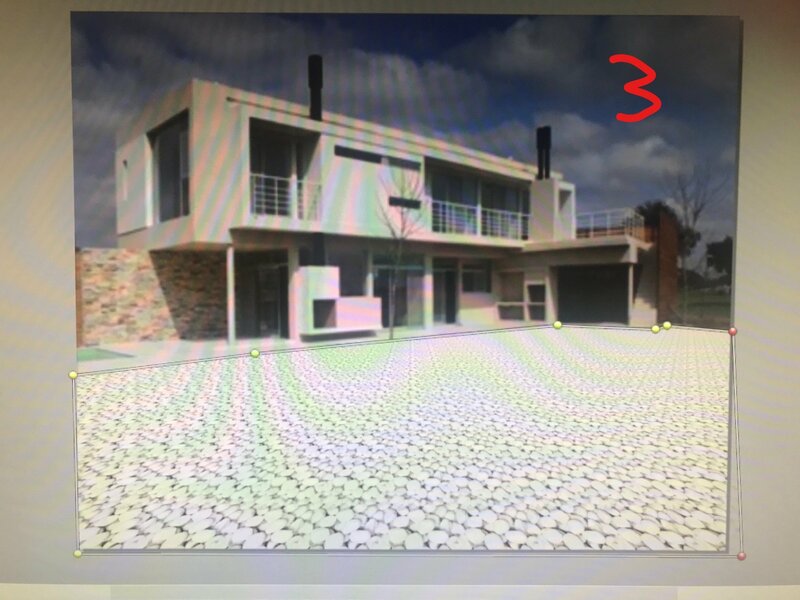 use the Selection Persona, Smart Selection tool to select the foreground where pebbles will go. 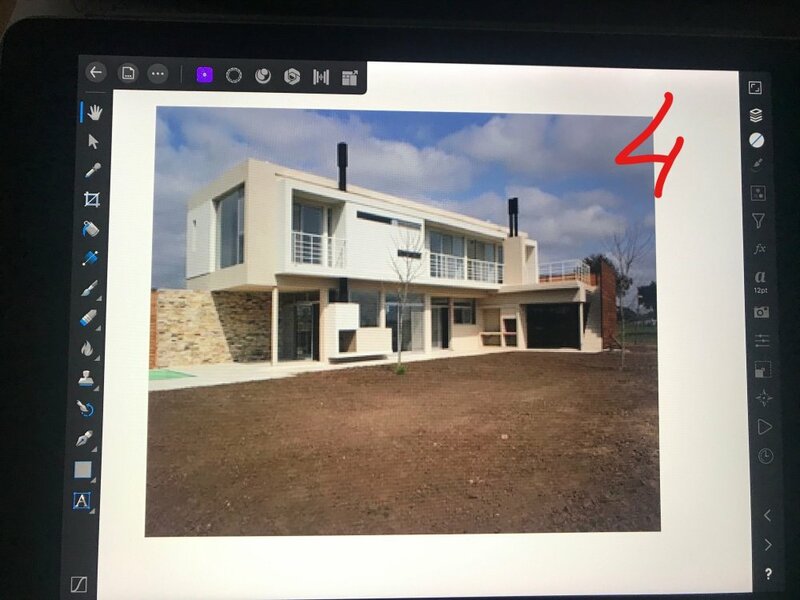 Switch to photo Persona and duplicate the selection (Edit/Duplicate). You now have a layer with just your foreground above the background layer. 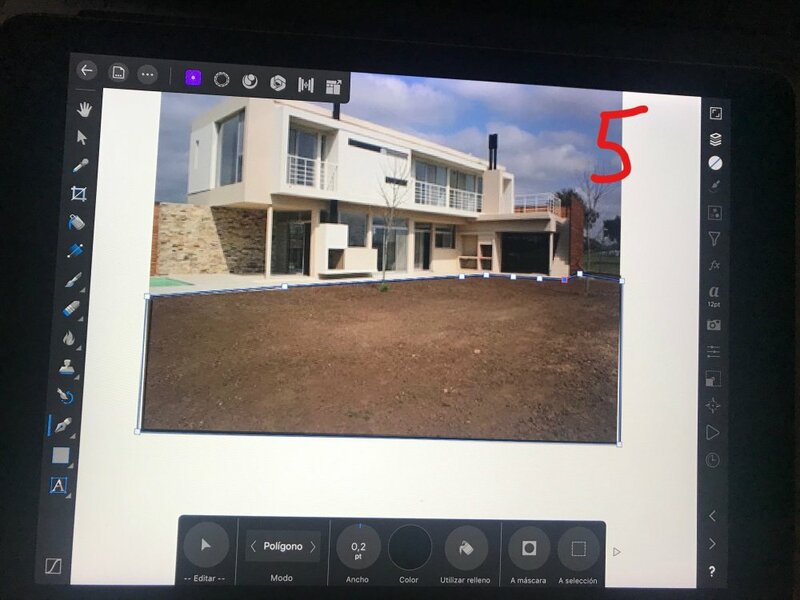 Tap the + symbol on the Layer Studio and add a fill layer. Select Fill layer and tap Fx Studio and tap Styles. Select your pebble style and tap the screen. The Fill layer will now be full of pebbles. In Layer studio, tap and drag the Fill layer onto the Foreground layers 'thumbnail'. 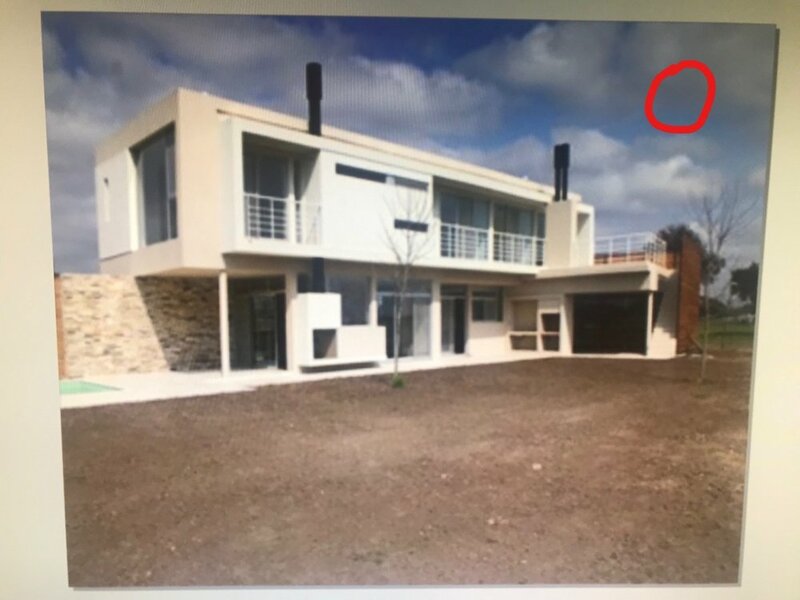 The thumbnail will turn blue. The pebbles will fill the selection. The handles on the style will adjust perspective and size. Hello, first, thank you very much for everything. 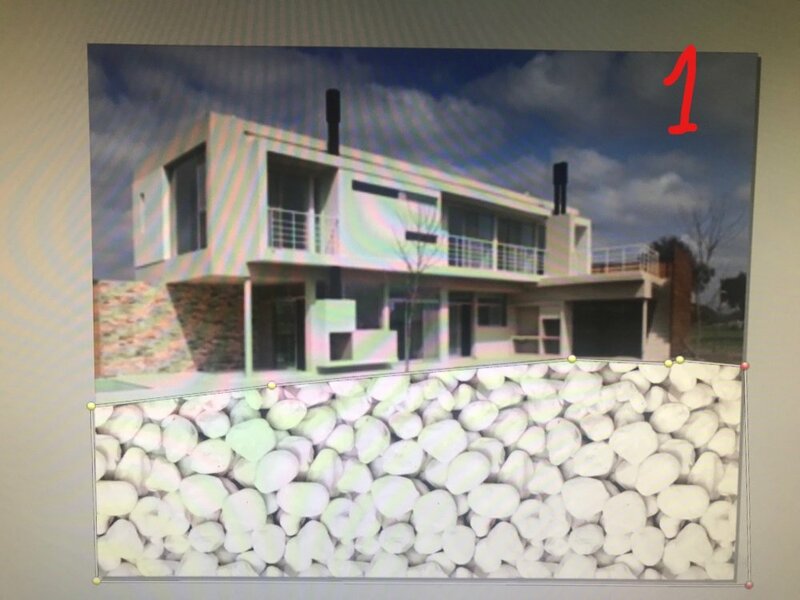 I've put a video doing everything you tell me, but it's not going well, or something I do not do well, the stones get smaller but not enough. 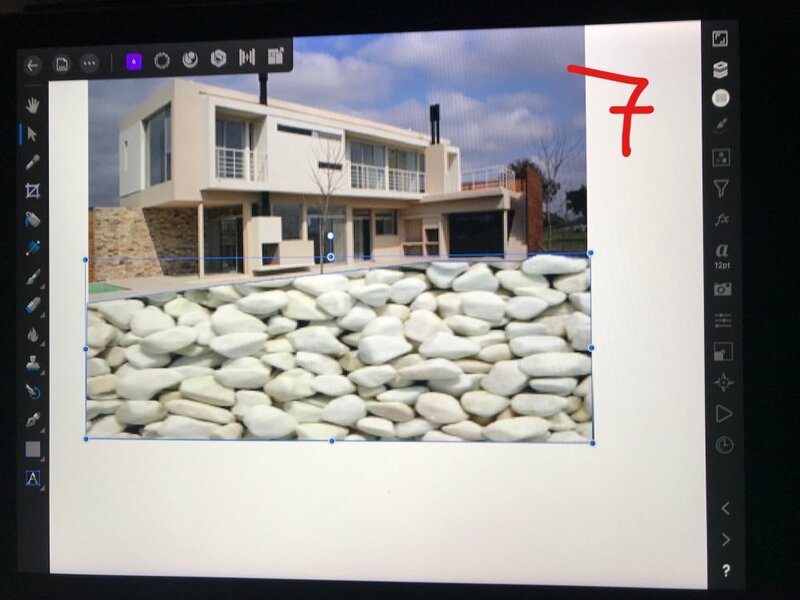 If I want to make them smaller, the image of the pebbles is too small. You can make me a video of how you do it? I've been playing around with the file and having the same issue as you. When used as fill or style it doesn't scale as it is not a vector image, at least that is what I think is the issue.